Hey New York, we’re no shrinking violet! Their statement is made on behalf of the assortment of arts and entertainment venues available in our beloved city. 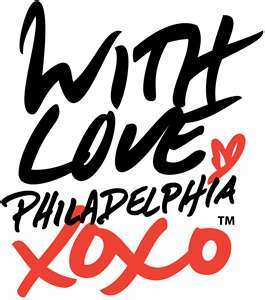 If you’re not a local, it may surprise you that Philadelphia is much more than just a stop on the way from New York to Washington D.C. From our Avenue of the Arts, which is home to some of the best theater around, to our world-class orchestra that has been performing for over 110 years, and our famous Museum of Art, which is currently hosting the only American stop on the “Van Gogh Up Close” tour, we can certainly give New York City a run for its money. In our downtown area alone, on any given night, there are a plethora of live performances that can tickle the fancy of any taste, whether it is of the dramatic, comedic, musical or dance variety. I was reminded of this on Thursday night when I received an unexpected invitation to attend a performance of “God of Carnage” at the Walnut Street Theater. French playwright Yasmina Reza’s comedy of ill manners about two couples who are trying to settle a playground fight between their sons with a civilized approach, was just what I needed after a long day at the office. Not only was “God of Carnage” awarded the 2009 Best Play at the Tony Awards, but it also earned a Best Lead Actress win for Marcia Gay Harden. It was also made into a movie last year, although the title was shortened to “Carnage”. Roman Polanski directed the shoot in Paris due to his outstanding criminal conviction in the United States with stars Jodie Foster, John C. Reilly, Christoph Waltz and Kate Winslet. As much as I love movies, nothing beats live theater for a nice change of pace. Thanks, Mary, for asking me tag along. 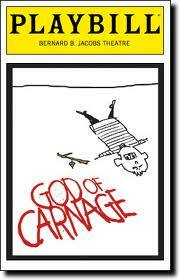 “God of Carnage” is at the Walnut Street Theater through April 29. Posted on March 31, 2012 March 31, 2012 Categories EntertainmentTags Broadway, Entertainment, God of Carnage, Jodie Foster, Kate Winslet, Live Theater, Philadelphia, Roman Polanski4 Comments on Hey New York, we’re no shrinking violet! The Naked Face Project: Could you do it? 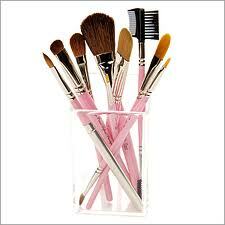 March 29, 2012 –This week, USA Today highlighted the quest of two women from Charlotte, N.C., ages 51 and 27, who vowed to go without makeup – and virtually any beauty product at all – for two months. They call their effort The Naked Face Project, and they urge other women to follow in their footsteps. Taking on the challenge also means they’ve stopped styling their hair, painting their nails, wearing jewelry and high heels, and shaving. Pretty scary stuff for many women. After 60 days, both women claim they are pleased with the results. Not only was the experience liberating, they say, but their skin has never looked better. They also say it made them take notice of other women who do not wear makeup, and that it’s much more common than they thought. So, it got me thinking, could I do the same? Yes, I could go without makeup for 60 days. I wear much less these days than I used to when I was younger, and often skip it on weekends all together, unless I’m going somewhere dressy. I’ve never been one of those “don’t leave home without makeup on” women. As a jewelry fan, giving up my baubles would be difficult, but doable. I like funky jewelry, and not fine gems like diamond and emeralds, so at least my habit isn’t too expensive. I could also ditch the high heels, and while I do like painted nails, it wouldn’t break my heart to give them up. It would be more difficult for me to stop styling my hair. While I don’t use hair styling products, I color my gray, I’m fussy about my shampoo and conditioner, and I blow dry every day. If I didn’t, I would be stuck with weird waves and flat salt and pepper hair (except in the humidity when it would expand and frizz). I’d also have a difficult time giving up lipstick/gloss/balm, which is the one product I always carry with me. It may fall into the makeup category as outlined above, but I consider it different because it’s beneficial to the moisture level of my lips, and makes them feel better. Not shaving may present a problem, too. I’ve never had hairy legs, so you probably wouldn’t even notice if I stopped shaving them, but underarm hair is another matter. It’s a personal preference to remove it, and even though I am from the school of thought that believes if it grows, it must be there for a reason, I feel better if it’s gone. After many years, shaving has become habitual thinking; I realize that many women around the world go au natural and seem to exist just fine. Men also have underarm hair that they don’t remove, so obviously one of those crazy things we inflict on women in our society. A little research indicates that shaving is a beauty routine related to youth. 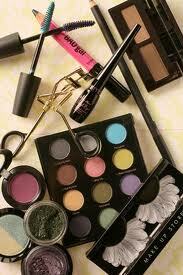 Women began shaving and wearing wear eye makeup to make their eyes appear larger to look like young girls. That’s a little disturbing, isn’t it? Don’t even think about taking my skin care products. While I’m not naïve enough to believe anti-wrinkle creams will keep me looking 25 forever, they do make my skin feel better in the moment. Dry skin is uncomfortable, so why have it if we don’t have to? Sure, genetics and health habits play a bigger role in the way our skin looks, but I love my skin care products and see no reason to give them up. In the grand scheme of things, this experiment may seem silly, especially with all of the problems in the world. But the premise of the experiment is a good one. Women shouldn’t have to be slaves to beauty or beauty products and we’ve created unreachable goals for ourselves because we often are. I applaud these women for their efforts. Still, why go to extremes and give it all up if you feel comfortable with it? We need to be happy for who we are and what we bring to the world, and if looking a certain way makes us feel better, go for it. For me, if I can’t commit to a project 100%, it’s better to skip it. 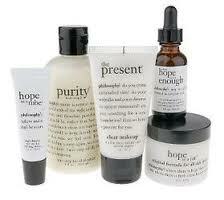 To learn more about The Naked Face Project, visit their website. Posted on March 29, 2012 June 15, 2012 Categories Current EventsTags Beauty Products, Hair Styling, Jewelry, Make Up, Miscellaneous, The Naked Face Project6 Comments on The Naked Face Project: Could you do it? 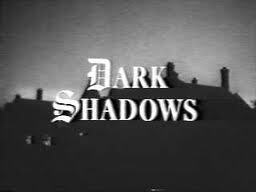 March 28, 2012 – All of you faithful “Dark Shadows” fans beware. The new movie from Tim Burton that stars Johnny Depp as Barnabas Collins, and arrives in Theaters in May, appears to have little in common with original television series that ran from 1966 to 1971, other than some of its characters. After seeing the trailer over the weekend, I can only deduce that Burton has turned the premise into a campy comedy that pokes fun at the original television show and the early 1970’s, the decade in which the movie takes place. Yes, I’m a little disappointed. 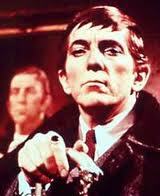 I was looking forward to seeing “Dark Shadows” even more so than any other upcoming release this summer. I loved the show as a kid, rushed home from school to see it, and even quit the 4th grade bowling team because it interfered with watching it. After seeing several episodes recently, I realize it was campy back then too, even if it wasn’t trying to be. But it still scared the bejesus out of me. I remember thinking that Angelique’s spell on Elizabeth Collins, the one made her appear dead to her family, but you could still hear her frustrated thoughts screaming that she was still alive as they were about to bury her, was the most frightening thing ever. That will stay with me always. Burton has been quoted recently as saying about the original series that, “technically speaking . . . you could say it was actually awful.” Considering that all those years ago the special effects were much less sophisticated, I suppose I can understand that without believing he was putting it down. If he felt like it was awful in general, I don’t think he would bother to remake it. But as viewers, we didn’t know what was to come in the future, or how special effects would make movies more realistic, and we loved our gothic soap unconditionally. So, it just seemed like a weird comment to make. Considering what they had to work with, they did a remarkable job making this unique series. The upside is that Scott and former cast mates Jonathan Frid (Barnabas), Lara Parker, (Angelique) and David Selby (Quentin) all have cameos in the movie. 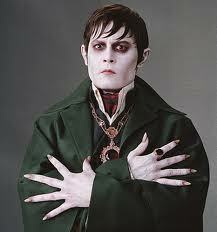 Will I still see “Dark Shadows” when it is released? Absolutely. It actually looks very funny, and I’ll try to go in with an open mind, not compare it to the original, and take it for what it is. Typically, I do enjoy roles played by Johnny Depp (except for his Willie Wonka rendition, which was downright creepy.) The movie also stars Eva Green, who caught my attention when she played the wonderfully evil Morgan LeFay in the Starz’ series “Camelot”. She’ll play the role of the witch Angelique, who once loved Barnabas, but because he only had eyes for Josette, cast the original spell on him that turned him into a vampire. That is, if the movie sticks to any part of the original storyline. March 26, 2012 – I recently read a statistic that claimed more than 25 million adults in the United States live with their parents. Perhaps that’s why people can relate to the new film “Jeff, Who Lives at Home,” about a jobless, 30-year-old stoner, who is obsessed with the movie “Signs” and lives in his mother’s basement. 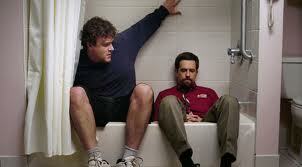 The film stars Jason Segal and Ed Helms as brothers Jeff and Pat, and Susan Sarandon, as their mother, Sharon. Indy veterans Jay and Mark Duplass of “Cyrus” fame, who wrote and directed the film, give us a unique look inside the lives of three people who are still coping with some heavy baggage after losing a family member several years before. With Segal and Helms in the lead roles, and without reading any reviews, I expected more comedy and maybe even slapstick at times, but I was completely surprised by the film’s serious undertones. It was a pleasant surprise, and although it does have some humorous moments, it’s actually more of a heartwarming and poignant story of a young man in crisis. The story takes place over the course of one crazy day, Sharon’s birthday, when all she wants as a gift is for Jeff to get on a bus, go to Home Depot, and buy some wood glue to fix one of the shutters in the house before she gets home from work. Jeff agrees to complete the task, but along the way gets sidetracked by the “signs” that are everywhere that may lead him to his life’s purpose. Jeff isn’t your stereotypical pothead, at least not in the way that is usually portrayed on screen. A philosopher of sorts, he is a likeable and a gentle spirit with a big heart who sees life in a unique and interesting way. And OK, the pot probably has something to do with that vision. Along his journey he meets up with his brother, Pat, a jaded man who’s marriage is in trouble, and who is the exact opposite of Jeff in every way. Ed Helms is terrific in this role, especially since we’re used to seeing him play more affable characters. Impeccably cast, these actors, and the supporting cast of Rae Dawn Chong and Judy Greer, play their roles to perfection. 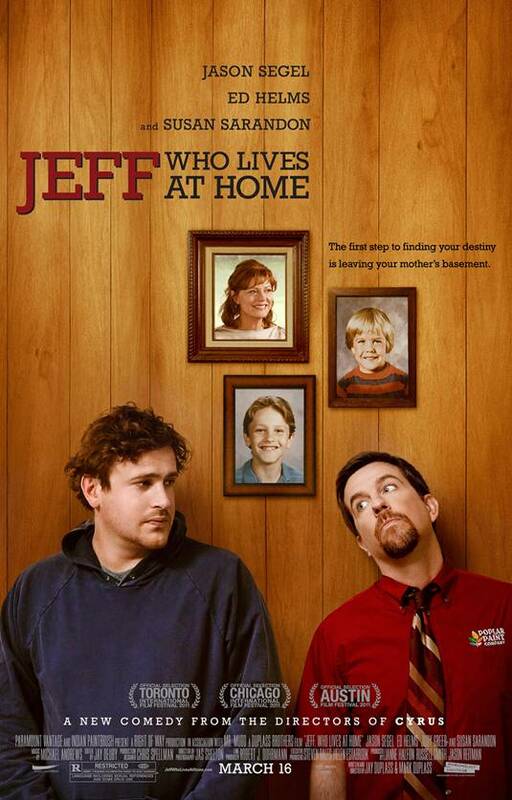 “Jeff, Who Lives at Home” isn’t the best movie I’ve seen this year, but I really liked it … a lot. It was an enjoyable way to spend 83 minutes on a dismal Saturday afternoon. As with many indie type films, it also has a fine soundtrack. You can’t go wrong with it. March 23, 2012 – Forget the NCAA tournament. 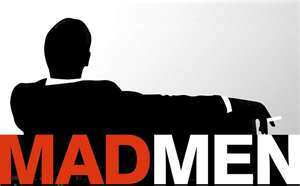 The real March Madness begins on Sunday, when the long-awaited 5th season of “Mad Men” returns to television. After a year and a half wait, fans will finally get to catch up with the quintessential Aqua Velva man, advertising extraordinaire Don Draper, and his family and office mates. When last we saw Draper and the gang, it was 1965. Sterling Cooper Draper Pryce had to fight for survival after the loss of the Lucky Strike cigarette account, Joan announced her pregnancy (with Roger’s baby), Betty’s second marriage was falling to pieces, and Don had asked his secretary to marry him after witnessing how well she handled his children. We won’t know for sure how much time has passed for the characters until Sunday night, but rumor has it that it’s now 1967. In real time it’s been 17 months – way too long – and that is something that concerns the show’s creator Matthew Weiner. With so much time passing in between seasons, he worries that viewers won’t come back. 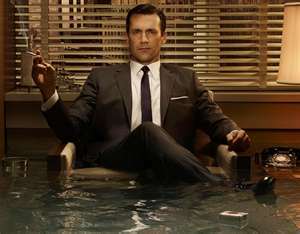 But the cast is remarkably talented and unique, and coupled with excellent writing, “Mad Men” is a huge favorite, so he probably has nothing to worry about. If you haven’t seen the show yet, you’re missing great TV. They’ve been showing reruns on AMC to build up to the season five premier, but even if you’ve missed those too, there’s no reason why you can’t begin watching now. They always provide a nice recap in the beginning, which won’t get you completely up to speed, but will lay the foundation. Actor Jon Hamm, who plays Don Draper, normally gets most of the attention, but the cast is a true an ensemble, which makes it difficult to pick a favorite. 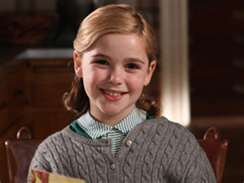 One character who definitely stands out is Kiernan Shipka, the young actress who plays Don’s daughter, Sally. Though too little screen time is given to the talented child star, she’s believable and impressive when she is on. Not only did she played the troubled child to perfection in seasons past, especially when her grandfather passed away, but she captured the pre-teen years perfectly last season, challenging both her mother and father. I especially loved when her father managed to score her Beatle’s tickets. Her screams, when he gave them to her, were a delight to behold. I saw Shipka interviewed a few years back, and she presents herself as a mature and grounded child. She mentioned that although she plays the part of Sally Draper in “Mad Men”, her parents won’t let her watch it because they feel she’s too young. Now that she’s a few years older (she was 7 when the show premiered and is now 12), perhaps we will see more of her on screen, and she’ll be allowed to see the fruits of her labor. Sunday night, 9 p.m. ET/PT, AMC, two-hour premier. Be there or be square. (That’s sixties lingo for must see TV). 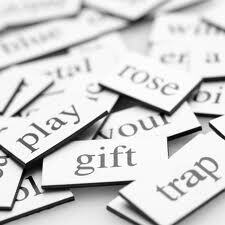 March 21, 2012 – If you’re looking for something to celebrate today, aside from the good things you already have in your life (and I hope there are plenty), you may want to celebrate World Poetry Day. World Poetry Day is an initiative of the United Nations Educational, Scientific, and Cultural Organization, that set aside March 21 to support and appreciate the world’s many poets and their works each year. As someone who loves visual, literary, and performing arts on practically every level, I have to admit I am stumped when it comes to poetry. I celebrate it just the same because I appreciate the talent it takes to create a poem, but often the words only make sense to me if you put music behind it and call it a song. Perhaps that’s laziness on my part, or just the way my brain works, but I’d be lost at a poetry reading unless someone was playing a musical instrument in the background, and the poet was reciting his or her work with a little more than just syncopated rhythm in their voice. Some of the literary (or coffee-house) elite may say that makes me akin to feeding from the bottom of the art chain, similar to appreciating a novel off the New York Time’s Best Seller List over a selection from a list of the best literary classics ever written – and that’s OK. But here’s something interesting I found while researching the origins of poetry; the earliest poems evolved from folk songs (emphasis on the word folk, i.e. the common people of society), so if it wasn’t for music, we may not have poetry as we know it today. There is one poem I remember well that doesn’t need music behind for me to appreciate it. It was written by my niece with magnetic poetry on my refrigerator. Thanks, Leigh. After all of these years, your witty prose still makes me chuckle. March 19, 2012 – With Hollywood cranking out remakes and sequels by the dozens, sometimes one needs to look to a foreign film to please their palate. 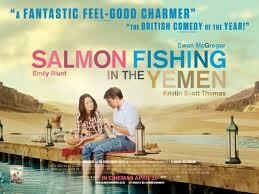 “Salmon Fishing in Yemen” is a rare find, a refreshingly witty film that tells the story of a billionaire sheik that wants to bring Salmon fishing to Yemen. The British romantic comedy directed by Lasse Hallstrom of “The Cider House Rules” and “What’s Eating Gilbert Grape” fame, is based on Paul Torday’s 2006 popular novel of the same name. Adaptations can be risky, especially for those who loved the book, but Hallstrom succeeded before, directing the film version of John Irving’s “The Cider House Rules”. And while I didn’t read Torday’s book, I thoroughly enjoyed the movie, and have read reviews that it stays pretty faithful to his novel, but with a few added surprises. I suppose that’s because it’s not easy to make a story about the quiet, low-key sport of fly-fishing compelling, but Hallstrom managed beautifully with this enchanting film, much more so that even Robert Redford did when he directed the acclaimed “A River Runs Through It”. The movie stars Emily Blunt as an investment consultant representing a billionaire sheik, who hires straight-laced scientist (Ewan McGregor) to help realize the sheik’s dream. At first, the scientist says it can’t be done, but through a series of interesting twists and turns, he is told he has to try to make a go of it or he’ll lose his job. Blunt and McGregor light up the screen with their chemistry, even when it is through their proper and sophisticated business communication at the beginning of the film. The story contains undertones of science vs. faith, which is often debated these days, and has a few side stories that are just as interesting, including one with a hilarious Kristin Scott Thomas playing a unique “spin doctor” of sorts. But the real comic genius belong to McGregor, who may not be known for his comedy, but delivered some of the best one-liners in the movie; no, not side-splitting slap-stick comedic lines that often tickle the funny bone of audiences, but cleverly written, sharp and sometimes biting lines that makes the film’s ticket price worthwhile.